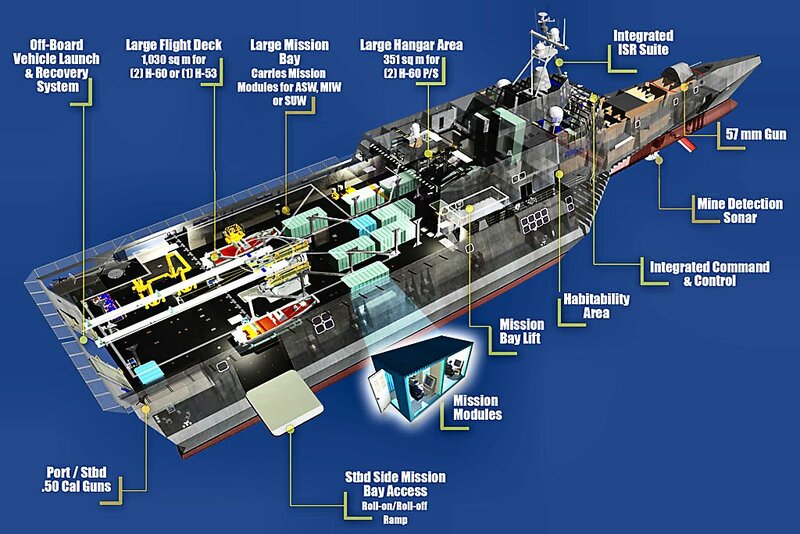 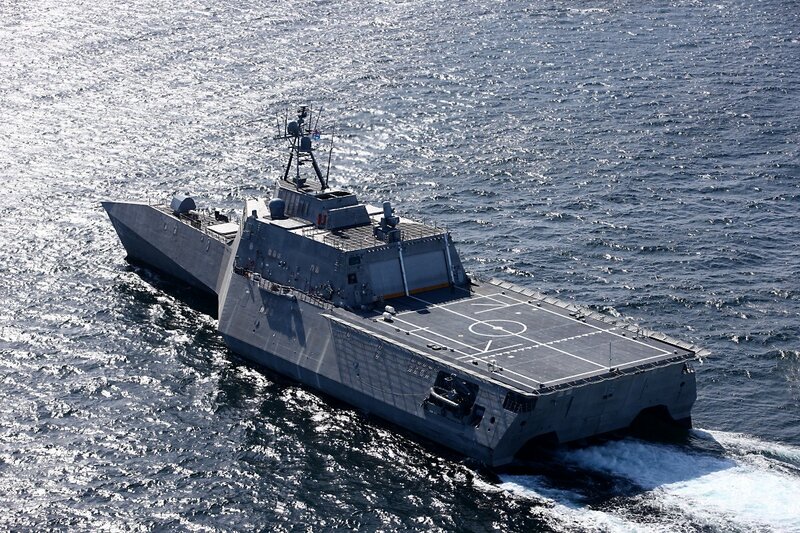 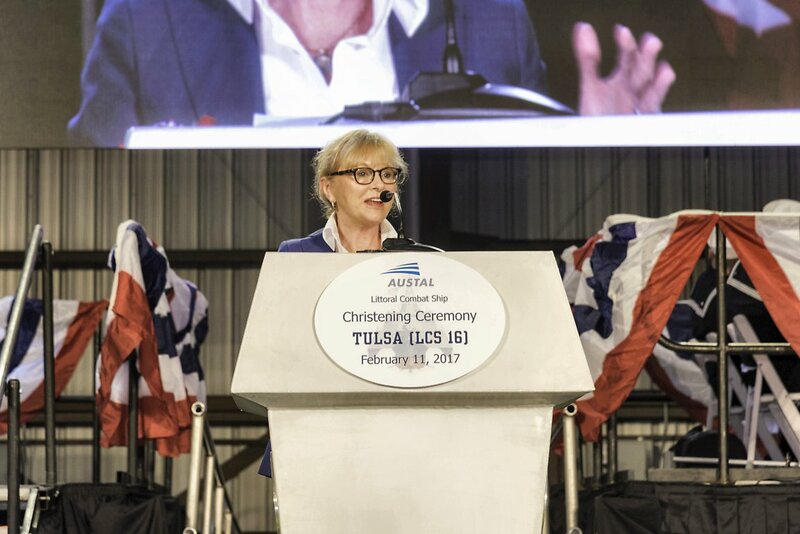 04 March 2013: Contract Awarded to General Dynamics Corp.
06 June 2013: Secretary of the Navy Ray Mabus announced LCS 16 will be named USS Tulsa. 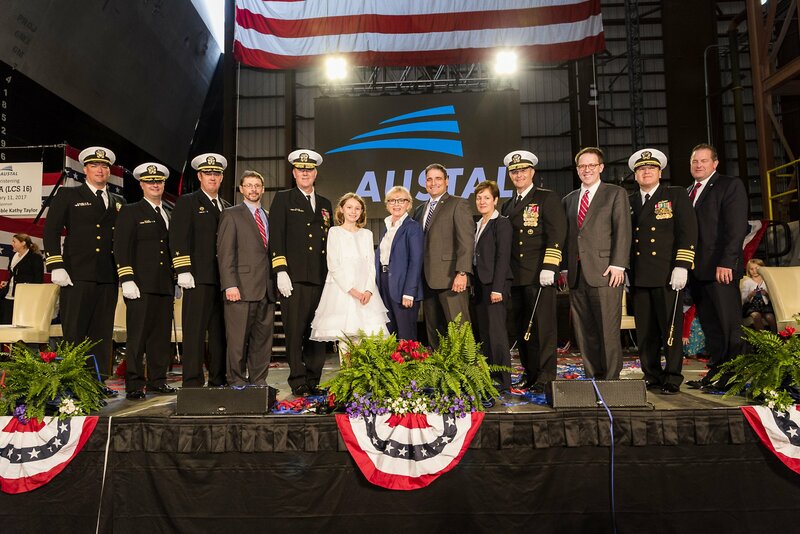 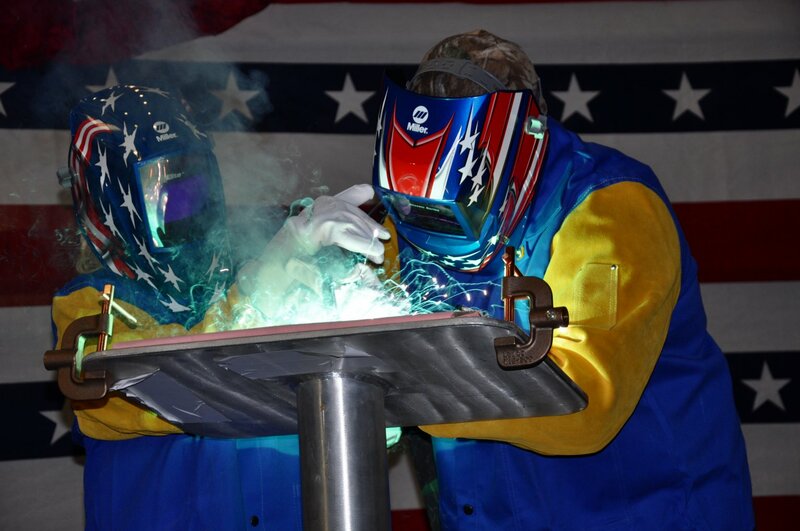 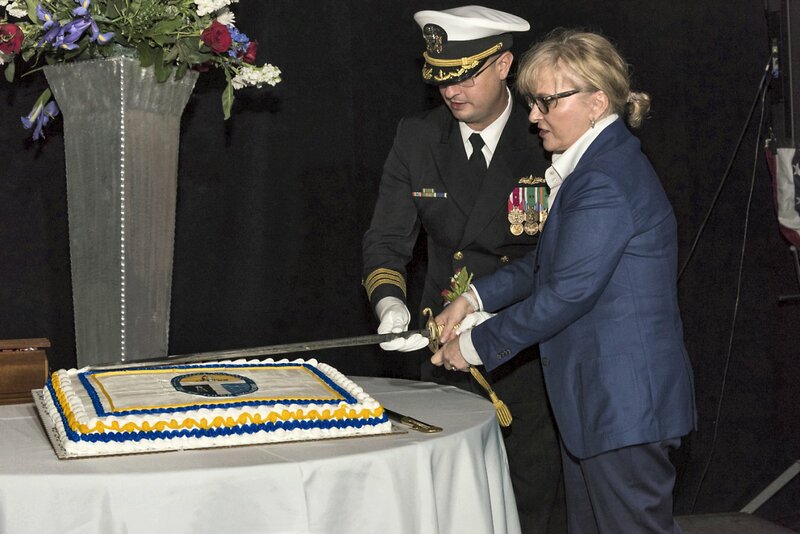 11 January 2016: Keel laid and authenticated by former Tulsa mayor Kathryn L. Taylor, ship's sponsor, at the Austal USA shipyard in Mobile, Ala.
11 February 2017: Christened by the ship's sponsor, Adm. William F. Moran, Vice Chief of Naval Operations, delivered the ceremony's principal address. 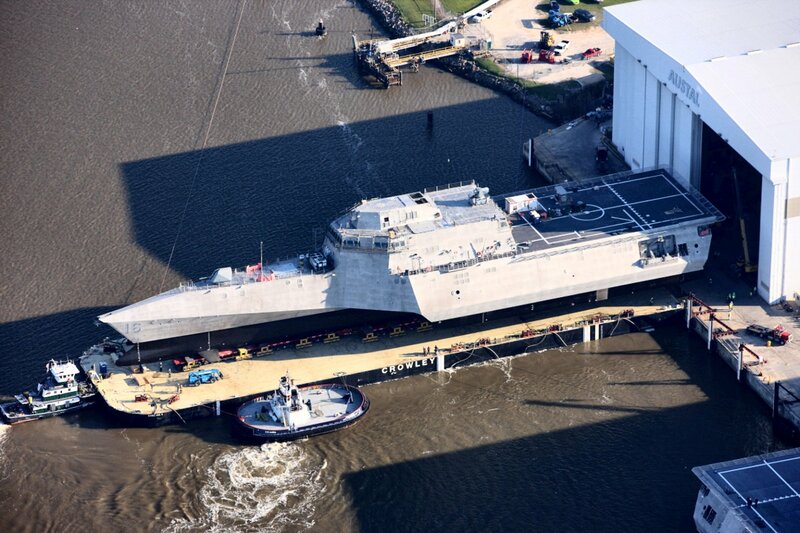 15 March 2017: Rolled out of fabrication and placed on a floating dry-dock, transported downriver to BAE Systems facility. 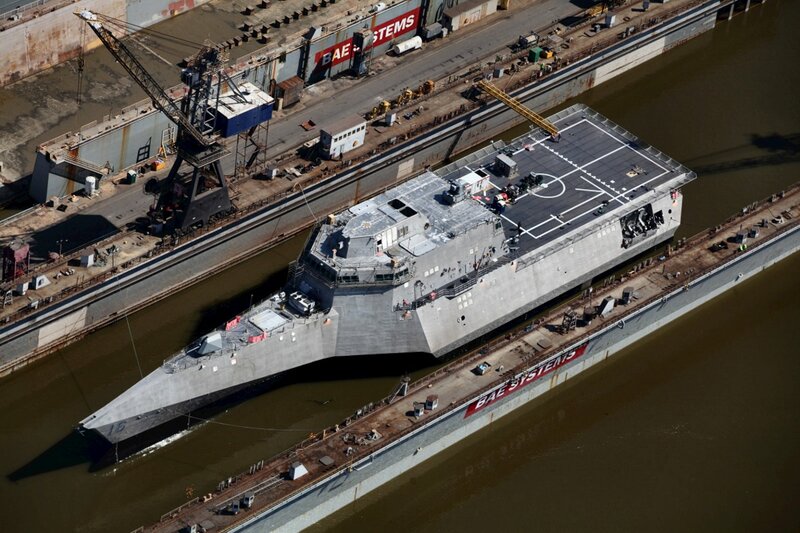 16 March 2017: Launched by flooding the dry-dock at BAE Systems facility. 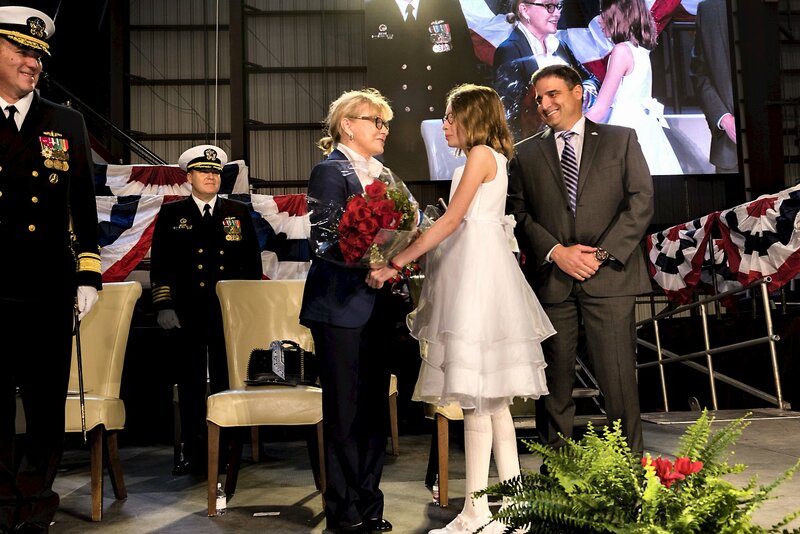 16 February 2019: Commissioned at San Francisco, Cal., Cmdr. 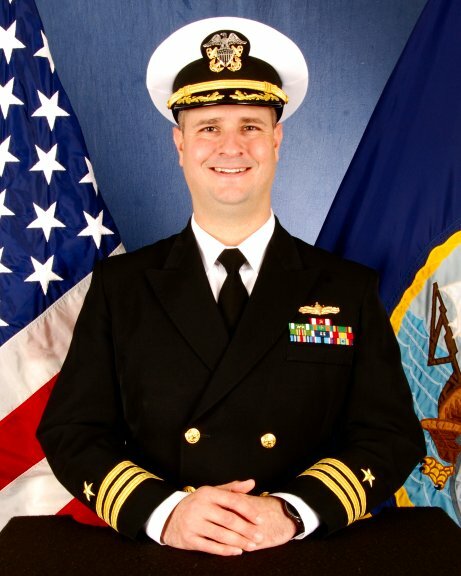 Drew Borovies in command, assigned to LCS Squadron One at San Diego, Cal. 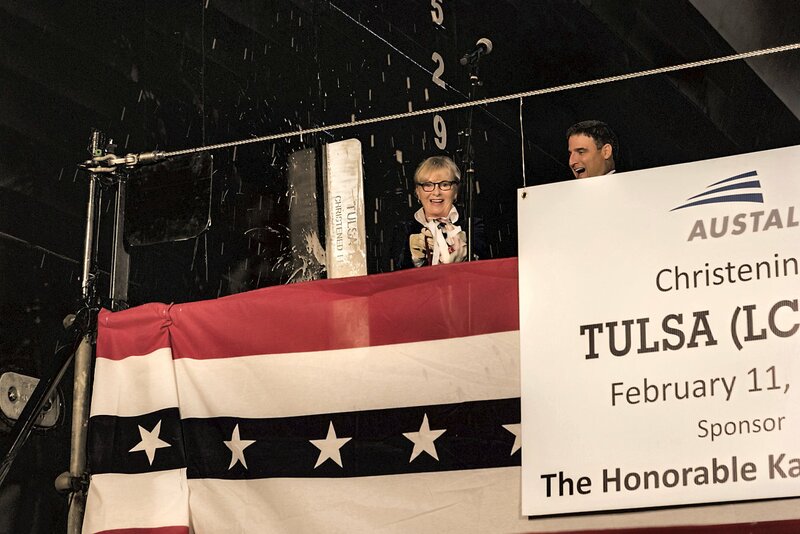 "Tulsa, The Ship" - "Tulsa, The People"
204k 11 January 2016: Mobile, Ala. - Kathryn L. Taylor, former mayor of Tulsa, Okla., sponsor of the future littoral combat ship USS Tulsa (LCS 16), etches her initials into the ship's keel plate with the help of Austal welder Brandon Myers during a keel laying ceremony Jan. 11 at the Austal USA shipyard in Mobile, Ala.
133k 10 February 2017: Tulsa, Okla. – A painting of the future littoral combat ship USS Tulsa (LCS 16) was presented to the ship at a reception the evening before her christening. 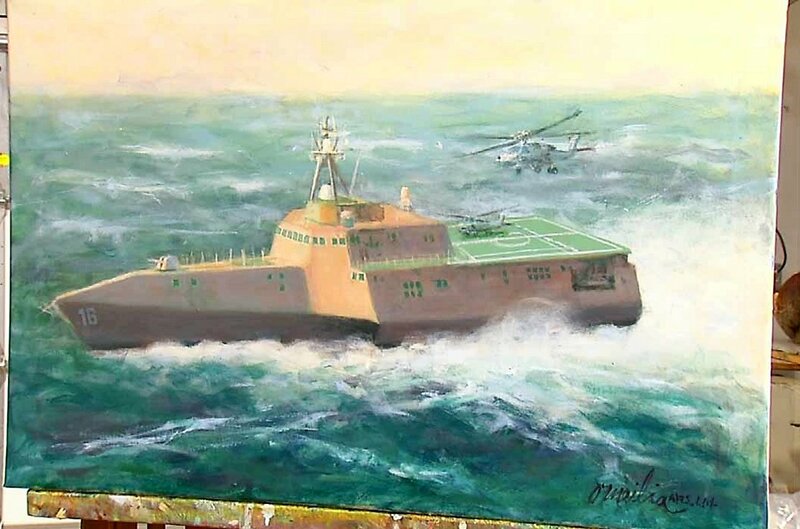 Painted by Tulsa artist and Navy veteran Jay O'Melia, the painting will sail proudly aboard the real ship. 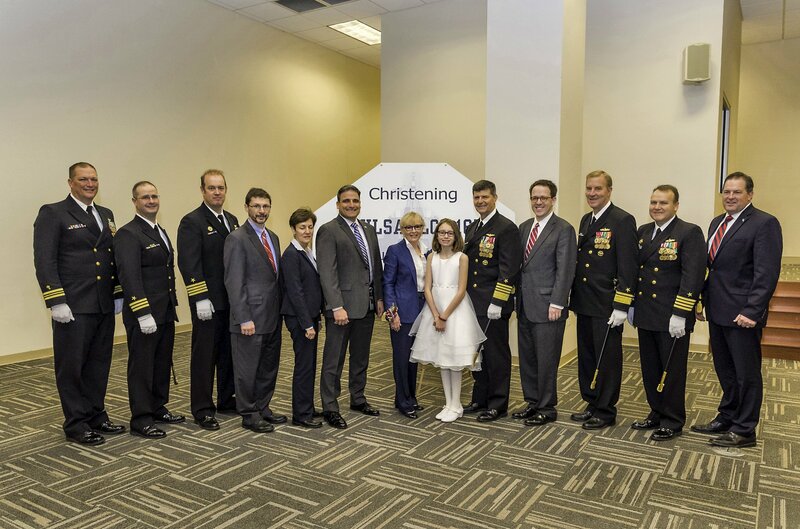 11 February 2017: Mobile, Ala. - An eight view series of the activities and christening of PCU Tulsa (LCS 16). 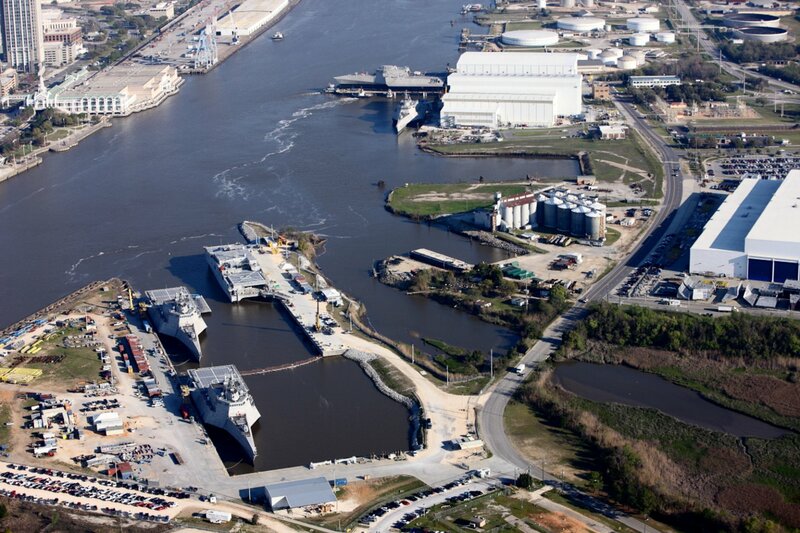 328k 15 March 2017: Mobile, Ala. – The future littoral combat ship USS Tulsa (LCS 16) is secured to the Crowley launch barge in preparation for the short journey down the Mobile River to BAE Ship Systems where she will be transferred into the dry dock for the final stage of the launch process. 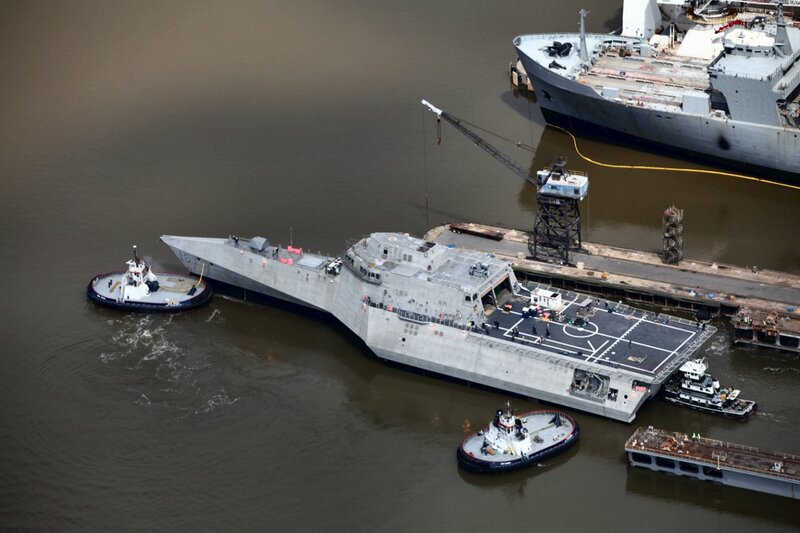 364k 15 March 2017: Mobile, Ala. – An aerial view of the future littoral combat ship Tulsa on the launch barge. 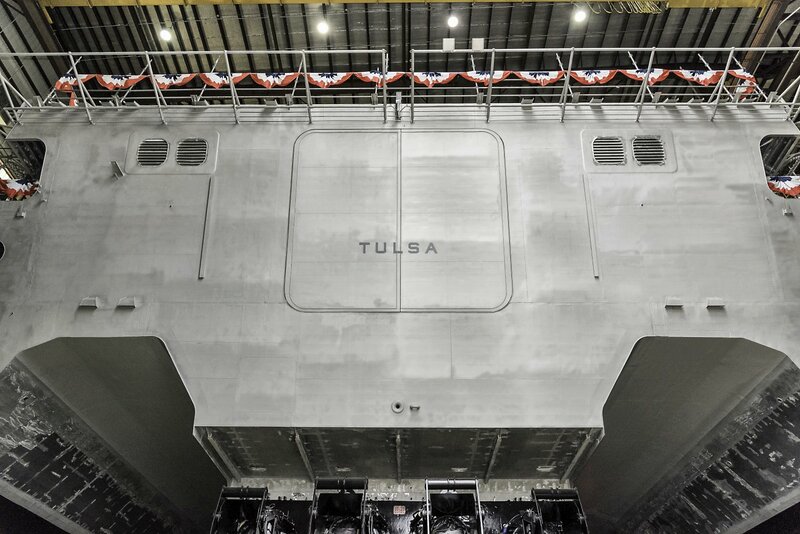 319k 16 March 2017: Mobile, Ala. – The future littoral combat ship Tulsa rises level with the Mobile River as the BAE Ship Systems drydock floods during the final stage of the launch process. 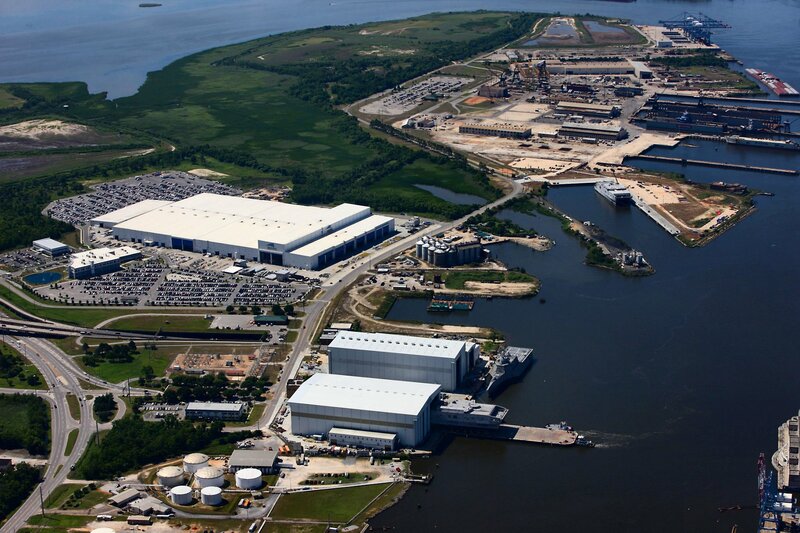 214k 16 March 2017: Mobile, Ala. – The future littoral combat ship Tulsa prepares to float out of the drydock at BAE Ship Systems in Mobile, Ala., and make a short trip upriver to Austal USA. 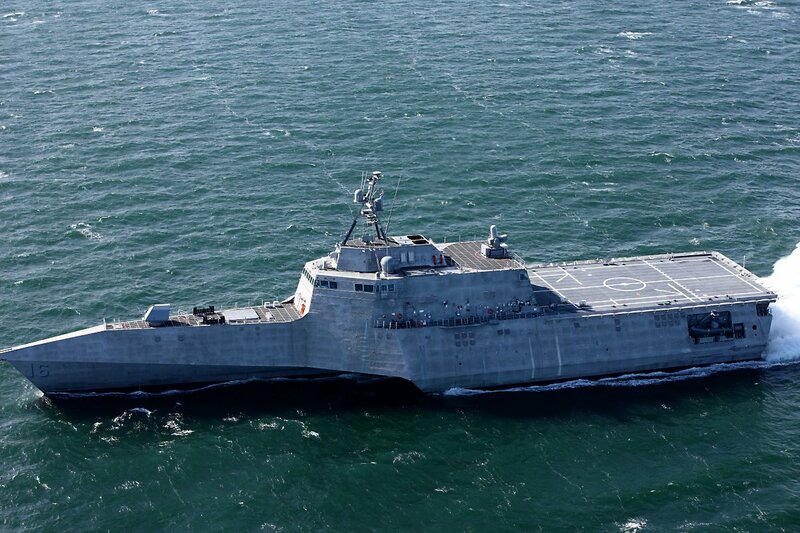 370k 16 March 2017: Mobile, Ala. – Future USS Tulsa (LCS 16) is heading back to Austal USA after launching from the drydock at BAE Ship Systems. 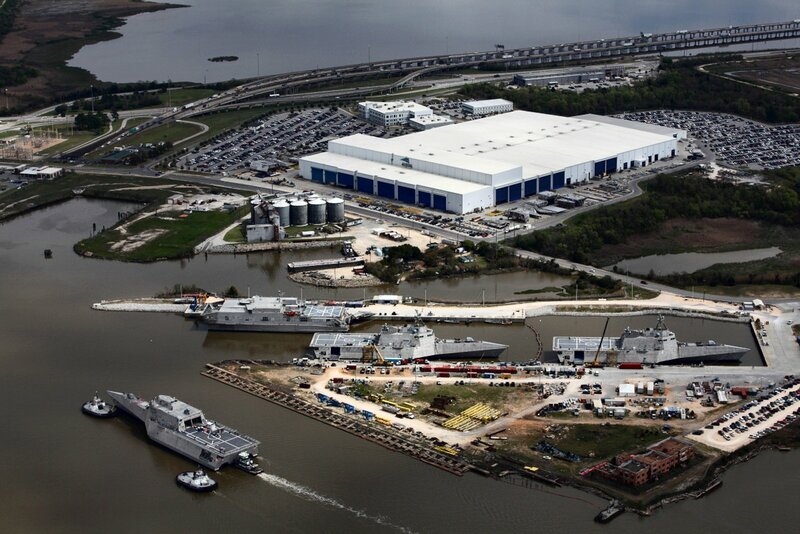 She's passing Austal's vessel completion yard where USNS Yuma (EPF 8), future USS Gabrielle Giffords (LCS 10) and future USS Omaha (LCS 12) are docked. 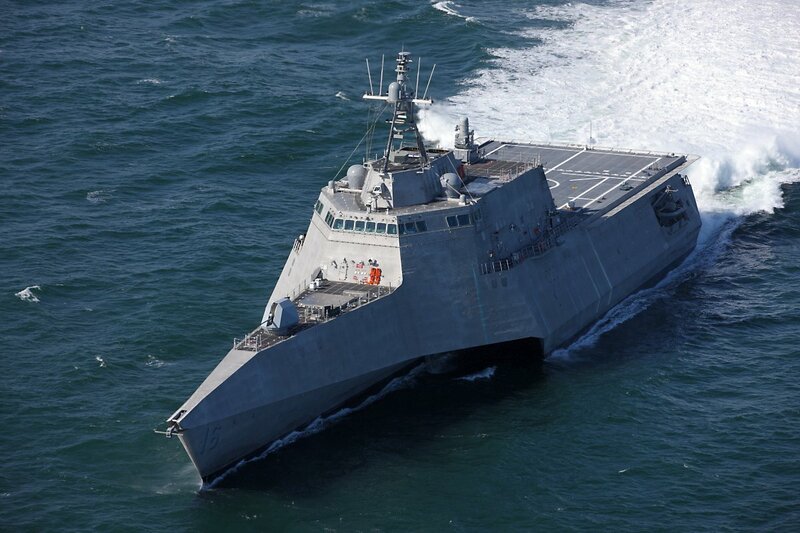 07 - 08 March 2018: the Gulf of Mexico - A five view series of PCU Tulsa (LCS 16) underway for acceptance trials. 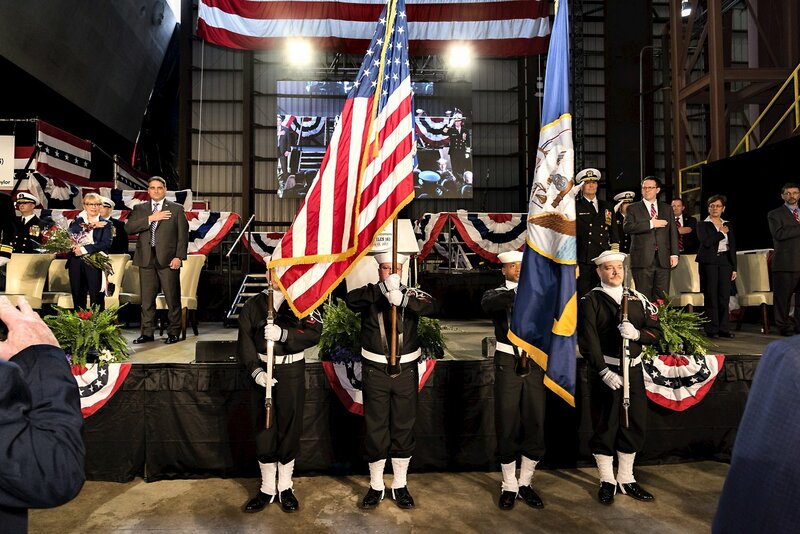 455k 21 November 2018: San Diego, Cal. 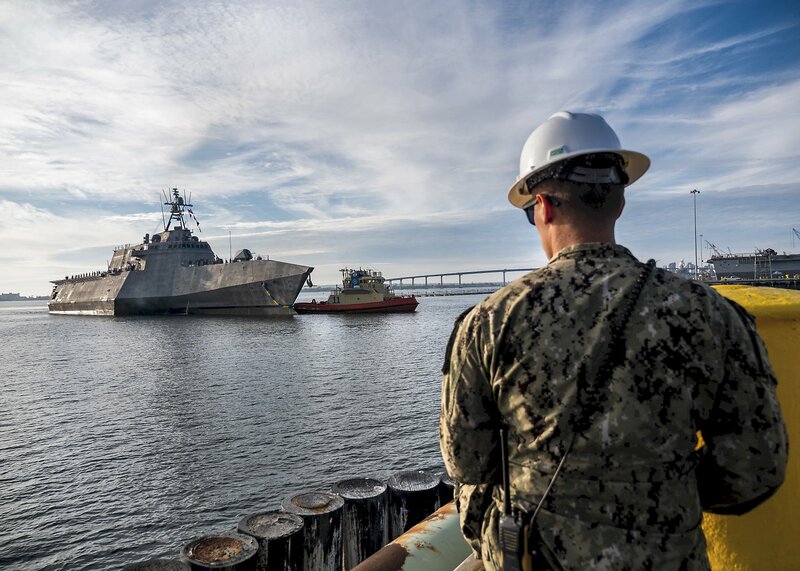 - The future littoral combat ship USS Tulsa (LCS 16) arrives at its new homeport at Naval Base San Diego after completing its maiden voyage from the Austal USA shipyard in Mobile, Alabama. 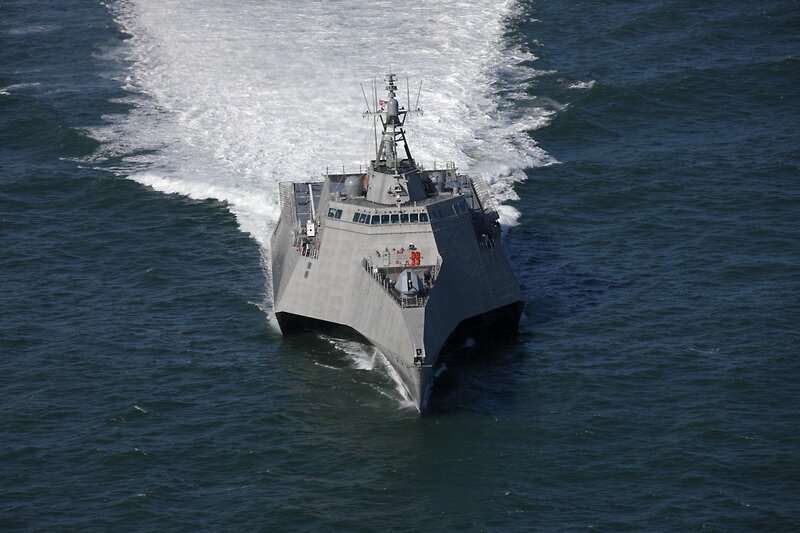 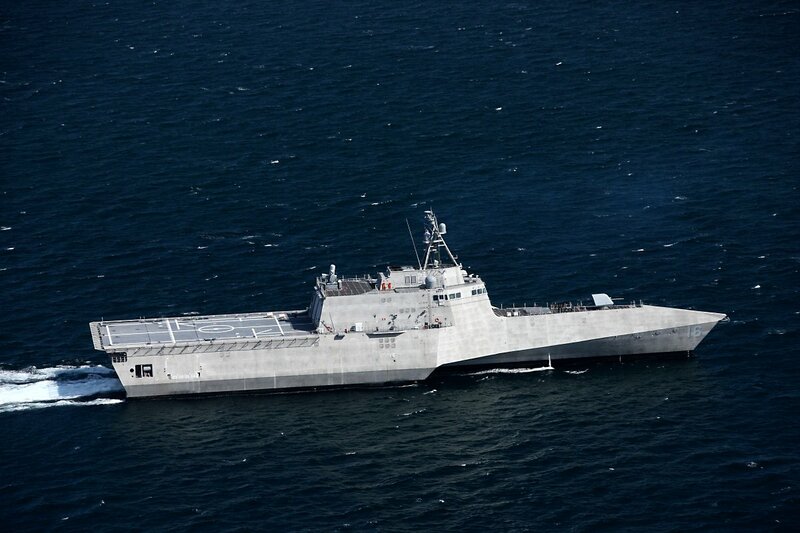 Tulsa is the eighth ship in the littoral combat ship Independence-variant class and is scheduled for commissioning 16 Feb. 2019 in San Francisco. 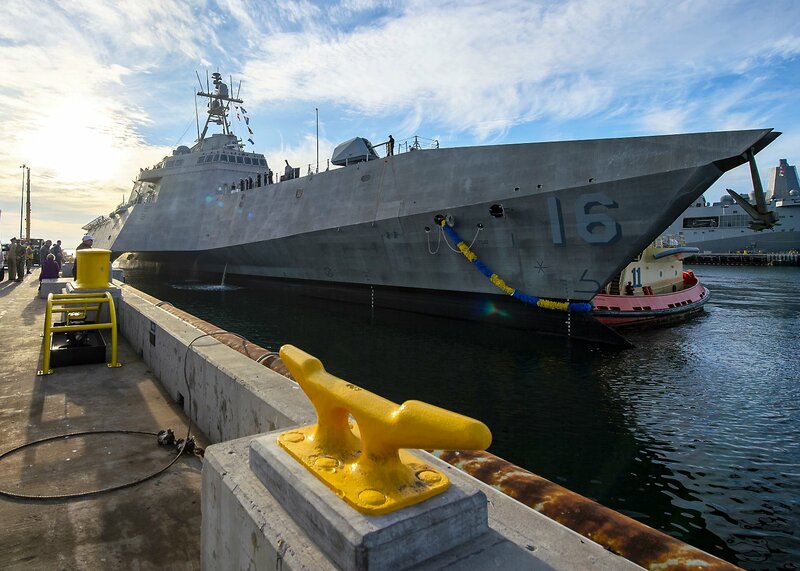 455k 21 November 2018: San Diego, Cal. 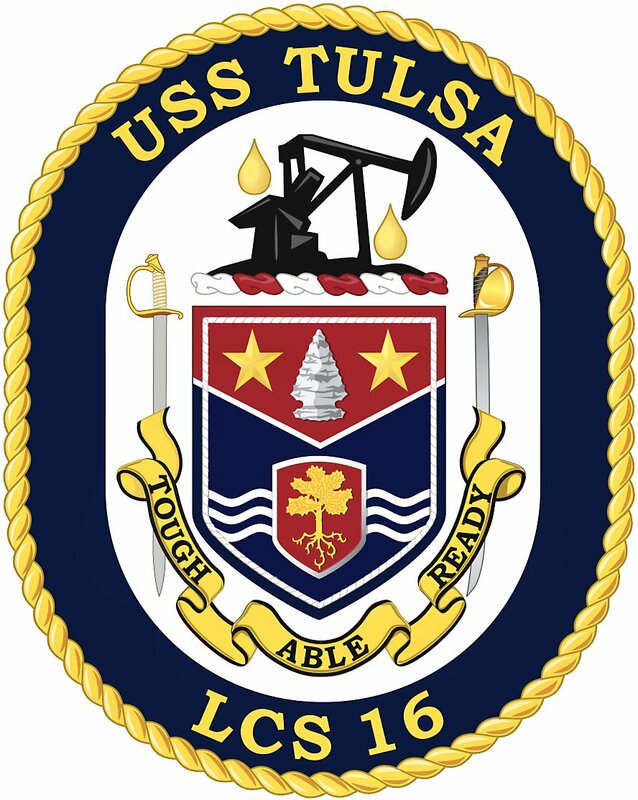 - The future USS Tulsa arrives at its new homeport at Naval Base San Diego after completing its maiden voyage from Mobile, Alabama. 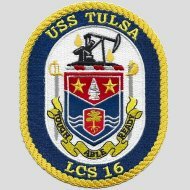 View the USS Tulsa (LCS 16) DANFS history entry located on the Naval History and Heritage Command web site.